Here are my picks for useful and interesting applications of LinkedIn to business. Because LinkedIn specializes in facilitating executive relationships, its members are often quite conservative when pushing the envelope by using a public social network. Hence, there are fewer case studies in LinkedIn than elsewhere, but they will increasingly surface in 2011-2012. 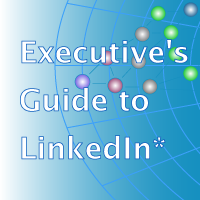 Here we will highlight individuals’ and organizations’ uses of LinkedIn to achieve meaningful outcomes. Check back regularly because I update this page several times a month. Exec shares some of IBM's results w social Thx @stefanw ! How can an airline make you more productive? LinkedIn: Answers: Any folks in advertising/marketing currently searching for a job on LinkedIn? Did you find your current or past advertising/marketing job on LinkedIn?